Like many voice actors, I started out performing on stage at a young age. My first audiences were parents politely watching me and other children belt out our version of a Midsummer Night’s Dream or Christmas Carol before slumber parties and pizza. Despite imitating everyone in my family or whoever was on television at that moment, my focus remained constricted to the stage or in front of a camera. 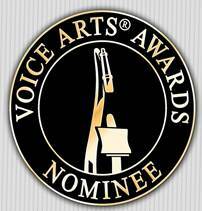 The idea of voice over never even occurred to me. A voice was merely a tool to underline a performance, I thought, not the performance itself. Hungry for a challenge, I decided it would be a great idea to move to South Korea and teach English to a bunch of Korean kindergartners. Hey, I’m an actor! I connect with audiences all the time. What could go wrong? 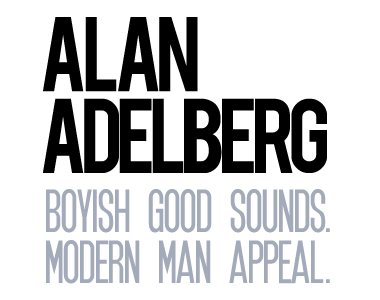 A huge thanks to the talented Celia Siegel and the fantastic designers at Biondo Studio for redesigning and building AlanAdelberg.com. Here you’ll find a much more user friendly experience where you can get a chance to view samples of my work and experience. Thanks again for dropping by and I hope we get the chance to work together.